It's the big day. The moment you have been waiting for. Naturally, you want every detail to be perfect. That's where we come in. 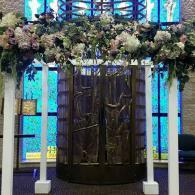 As wedding florists, we take great pride in creating the most exceptional wedding ceremony flowers. 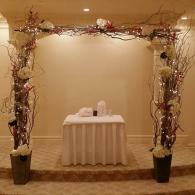 Our goal is to design elegant flowers that reflect the love and uniqueness of each couple we work with. So how do we accomplish this? By working with you one-on-one. We meet with our clients to discuss their vision and all the details of their wedding to ensure only the best in floral designs. Plus, we guide you along the way. For instance if you're in love with blue tones but have no idea which flowers to choose, we'll assist you. How about eye-catching Centaurea Cyanus or classic hydrangeas? Give us your ideas and we'll do the rest! Our creative team will create elegant petal trails to down your aisle for both indoor and outdoor settings and of course, stunning floral arches where you can say, "I do." Seeking lovely miniature bouquets to rest between chairs? We can do that, too! 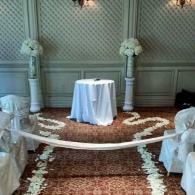 When planning your wedding, you want everything to be absolutely perfect. So do we. 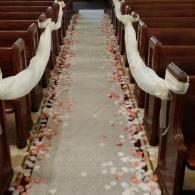 We have been privileged to have been helping brides in the Wayne, NJ area for years. 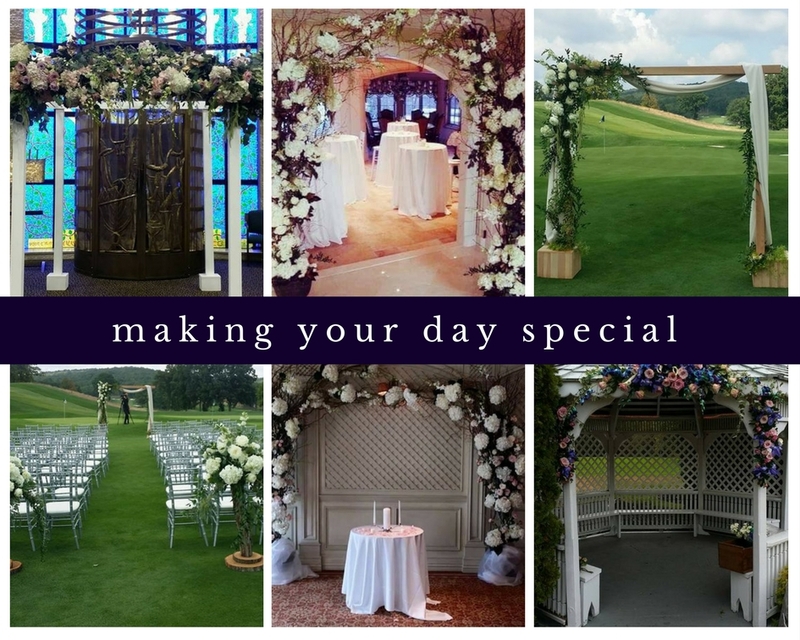 See how our wedding consultants can help make your day more beautiful with stunning wedding ceremony flowers.